﻿ Citadines Blue Cove Danang, Da Nang | FROM $78 - SAVE ON AGODA! "For a Vietnamese hotel this is a great one." 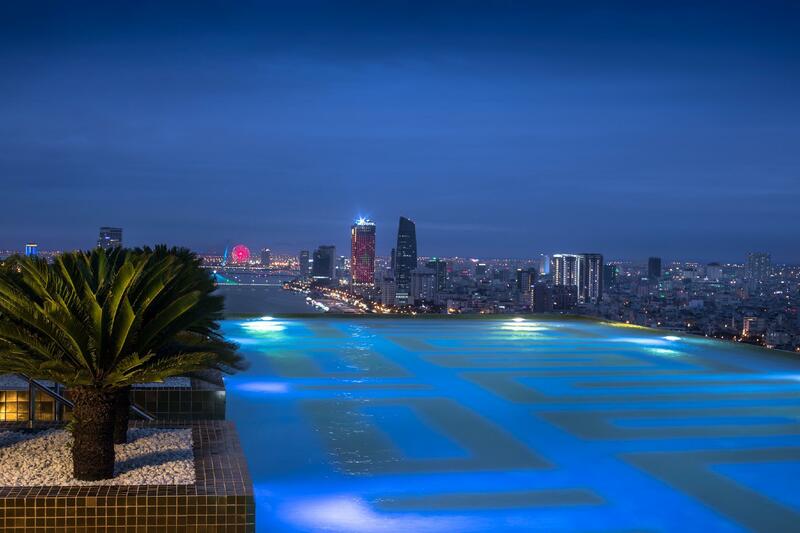 "Pool view was great, overlooking the bridge and city." "Just open hotel and good for family trip ." 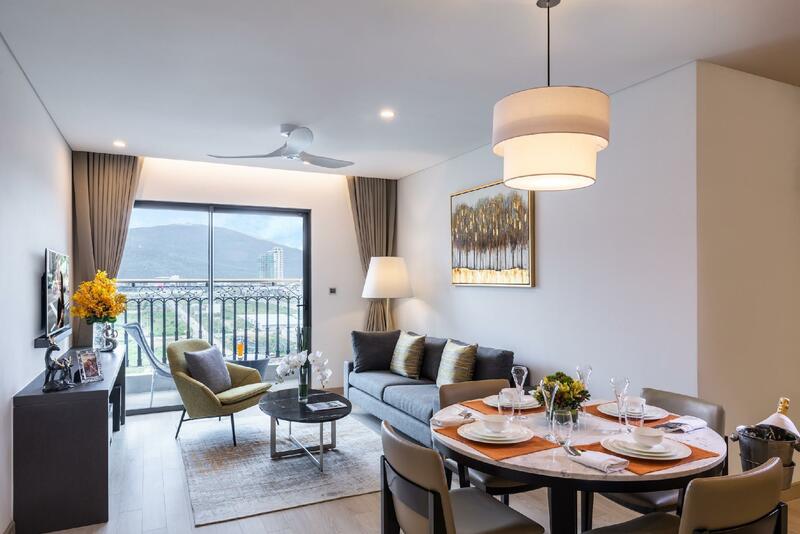 "We stayed at a 3-bedroom apartment for 6 days and it was def..."
Well-placed in the sightseeing, beaches area of Da Nang city, Citadines Blue Cove Danang provides a most conducive spot for you to take a break from your busy days. The excitement of the city center is only 3 km away. With its convenient location, the property offers easy access to the city's must-see destinations. 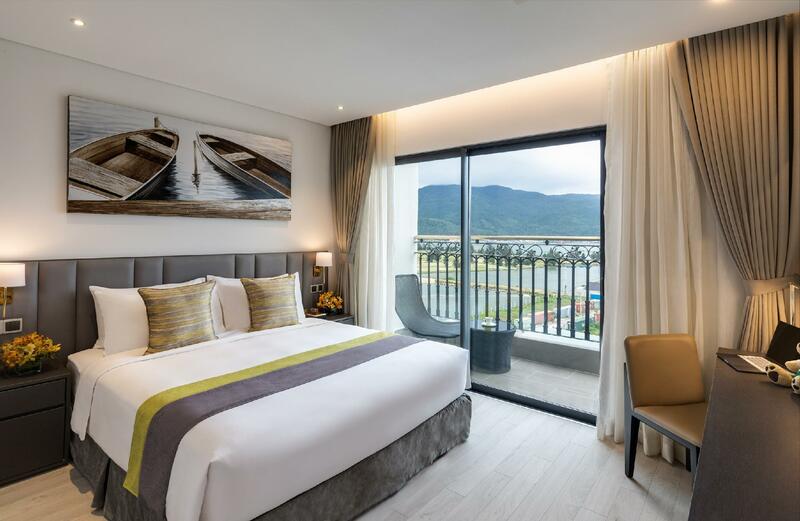 Citadines Blue Cove Danang offers impeccable service and all the essential amenities to invigorate the weary traveler. Facilities like free Wi-Fi in all rooms, 24-hour room service, 24-hour security, convenience store, daily housekeeping are readily available for the convenience of each guest. 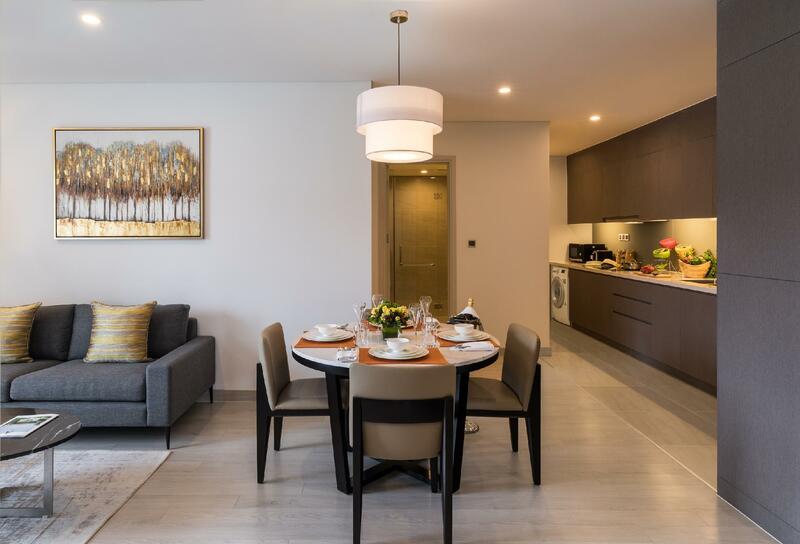 548 rooms spread over 29 floors provide a warm and pleasant home away from home. Comforts such as flat screen television, additional bathroom, additional toilet, bathroom phone, clothes rack can be found in selected rooms. The property offers an excellent variety of recreational facilities, including yoga room, fitness center, outdoor pool, kids club, pool (kids). 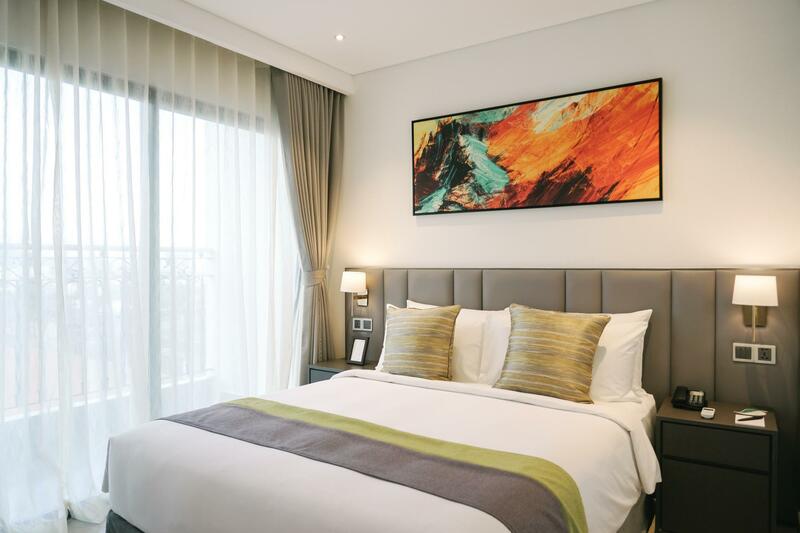 When you are looking for comfortable and convenient accommodation in Da Nang, make Citadines Blue Cove Danang your home away from home. "I had a spacious 2 bedroom apartment at a very reasonable ra..."
Children 5-11 years old will be charged VND 200,000 per child per night when using existing bed. Con - not in the city centre where restaurants and bars are located but just a short 5 mins drive out. Good if you prefer some quietness. Pros - excellent property management under Ascott. I had a spacious 2 bedroom apartment at a very reasonable rate. Very attentive service staff and friendly resident manager Alan who made us feel at home. Will definitely stay here again on my next trip to Danang! We appreciate all the hotel customer services which is helping us alot of circumstances issue to make us feel comfort. Thanks for the Jun, Vivian and Customer Services Manager which is given us the valuable and professional services. We definitely will come back again and stay in this hotel. Once again is really worth to choose this hotel instead of getting bad customer services. We strongly recommend this hotel will make u wonderful trip and enjoyable. Thanks. The facilities, room setting are great and the hotel is brand new. Some of the staff can speak very good English and they are friendly and helpful whereas some are rather apathy towards the guests. Staff training in hospitality serivce should be strengthened. Besides, information provided by the staff may be wrong or may have some discrepancy in various aspects. Guests should reconfirm by using other sources. This hotel is connected with a neighbour hotel called Golden Bay which seemed to be better service as I had met with some staff there and they showed to be more professionally trained. Thank you so much for staying with us. We appreciate your review and will work hard to improve our service and make guests happy. The hotel was gorgeous and the service impeccable! We were very sad to leave since we had been pampering ourselves. The area is a bit out of the way but the hotel offers a complimentary area shuttle. We stayed at a 3-bedroom apartment for 6 days and it was definitely THE best part of our trip. Apartment was spotlessly clean and all things were almost brand new. You can sense that they paid a lot of attention to detail. We hitted the gym and used the 2 in 1 washing dryer machine every night, even washing powder was provided. Gym room had at least one trainer standing by each day when we were there. Shuttle service is available every hour (not at lunch time) to a few popular spots in town (Love Bridge, Cham Museum, My Khe Beach, etc.) The only downside would be its location being off the town centre and surrounded by nothing (mind you, some may appreciate the peace and quiet). If you are hungry, want to grab something to eat and don't feel like calling a taxi to venture afar, you will be left with not much choice but the in-room dining service or the restuarant within the hotel. We ordered in room dinner once, very reasonably priced, but not the best taste we had in Da Nang. Was a bit confused over the sharing of facilities with Golden Bay Danang. Pool view was great, overlooking the bridge and city. For the apartment, would be good if there could be a toilet for each room. Breakfast buffet is a bit costly. Felt the family area was too big and these spaces could be put to better use. Thank you so much for staying with us. We appreciate your review and will work hard to improve our services and make guests happy. Thank you so much for staying with us. We appreciate your review and hope to have more chance to serve you when you comeback to Da Nang. Just open hotel and good for family trip . We booked 3days for 2bed room it is enough even good for us. Clean and silent place so we can sleep very well. Spa also good (not facilities) and breakfast is reasonable . I was worried because there were not many review. but there is a washing machine nice and clean room, a swimming pool with great view, friendly staff! Especially THANKS ISAAC for your kindness. 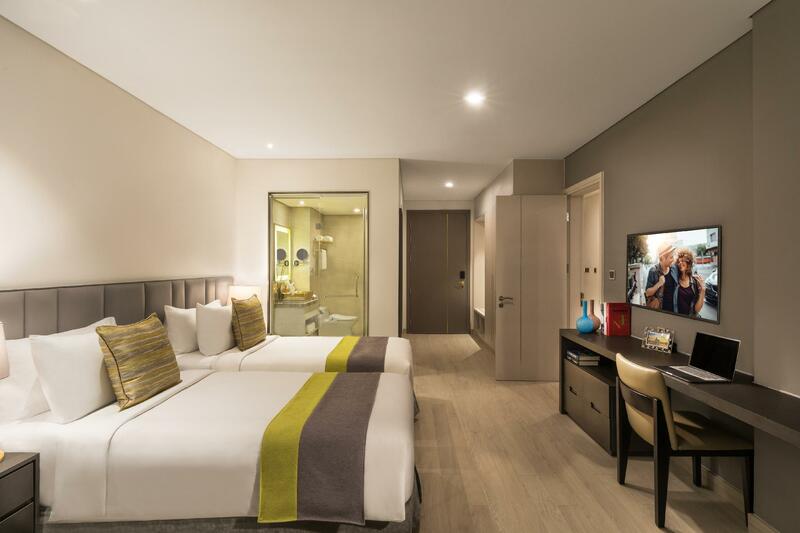 If I visit danang, I will come back to Citadines! Thank you so much for staying with us. We appreciate your review and will work hard to make our guests happy. Dear Brendon, First and foremost, we would like to sincerely apologize for this. We always strive to provide the best service to our guests and on this occasion we did not exceed your basic expectation. Kindly tell us about the problem that you have had in order for us to improve our services and make guests happy. Thank you so much for staying with us. We looking forward to hearing from you. For a Vietnamese hotel this is a great one. Rooms are super nice with great views. Staff are excellent. Food is very good. Thank you for staying with us. We appreciate your review and hope to have more chance to serve you when you comeback to Da Nang. 우리와 함께 지내셔서 정말 고마워요. 감사합니다. 우리는 우리의 서비스를 향상시키고 손님을 행복하게하기 위해 열심히 노력할 것입니다. As the hotel is new, something needs to improve as the notification. But all the staff are helpful and nice. Highly recommend. Thank you so much for staying with us ^^ ! Thank you for staying with us. It's our happiness to hear that you satisfy with our services and facilities. We hope to have more chances to serve you when you comeback to Danang.